Norways most successful football club, Rosenborg Ballklub, was born in May 1917 under the name Odd. It all started way back in 1917. A gang of lads from Rosenborg a suburb of Trondheim, decided to start a football team. The name they chose was Odd, taking it from the best team in Norway at the time. 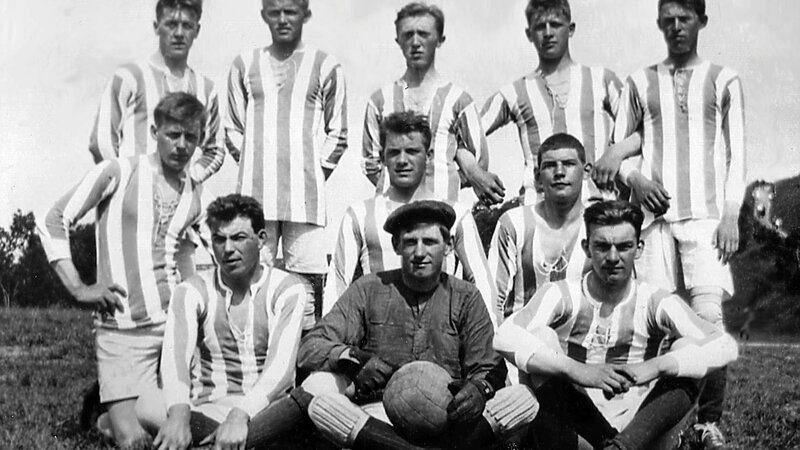 The name was changed to Rosenborg Ballklub in 1927. However, it was not until 1960, that RBK established themselves as a top-flight club, by winning the Norwegian Cup against Odd. In 1967, RBK played in the 1st Division for the first time and topped the table at the end of the season. The following season two of the club´s legends made their mark on the football scene when Nils Arne Eggen was awarded Player of the Year trophy, and Odd Iversen was the top scorer with 30 goals. Later that season Rapid Wien was the first opponent RBK met in the European Cup, the European campaign is under way. In 1971 RBK won the double with Nils Arne Eggen as head coach. Unfortunately, the club was relegated in 1977. However, with Nils Arne Eggen back as head coach they were only in the second division for that one year, and have since been in the top division, which is now named “Eliteserien”. An old German barracks was transformed to a “club house”, a place to congregate, in 1978. Today it houses the administration and is the heart and soul of the club. With its doors always open for anybody who wishes to have a talk over a cup of coffee about football. It now commands a legendary status in Norwegian football history. Odd Iversen played his last game in 1982, and is today recognised as one of, if not the, greatest players Norway has fostered. The rest of the 80`s was used to build the foundation for what was to be a European dream. The club won the 1st Division again in 1985, with an attendance record of 28.569 overseeing the match that clinched the title. With Nils Arne again at the helm RBK won the double in 1988. The 90's was completely dominated by RBK winning the double again in 90, 92 and 95, and topping the 1st Division in 93 and 94. The club reached the “group stage” in the UEFA Champions League for the first time in 1995 and continued to dominate domestic football winning the league title every year from 1992 to 2002. However, the stadium did not have the same class over it as the team, and a period of rebuilding Lerkendal Stadium was started. It was completed in 2002 as an all seater with a capacity of 21.405. Nils Arne decided to retire in 2002 with a standing ovation from 20.000 fans after a CL match against Lyon. The following decade was troublesome for the club as all the following coaches were inevitably compared to Nils Arne, which was always going to be difficult. Nevertheless, the team played regularly in the Champions League with the likes of Real Madrid, Bayern Munich, Chelsea , Dortmund, Juventus and Arsenal having all played here. Having again won both the league and the cup in 2015 and 2016, the league in 2017 and the double again in 2018, RBK are once more looking forward to hosting CL-matches in 2019.